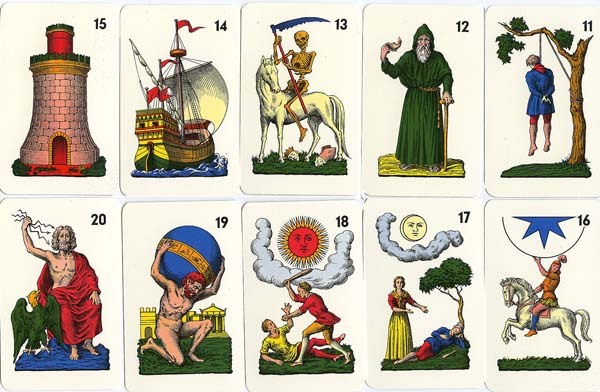 Much like the usual Italian tarocco deck, except there are two #0 cards: the usual Matto or Fool and Miseria. The cards are small, and the usual Fante is a woman in every suit. 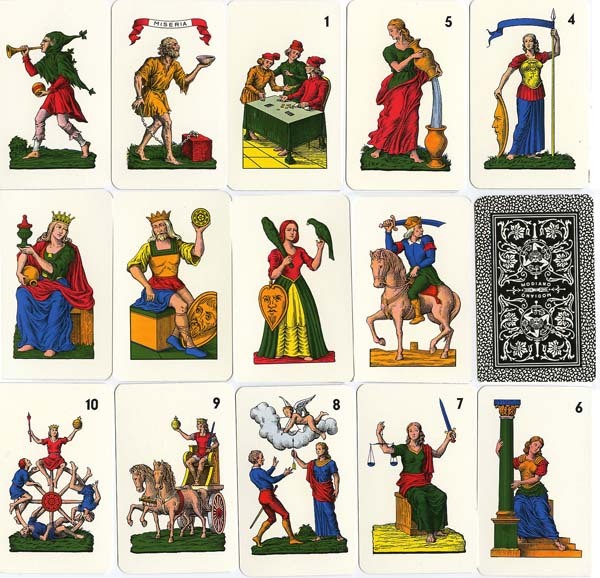 When I took the brand new deck out of the box, the face cards were in the order I have them below, indicating that the queens may be higher than the kings. The trump cards also aren't labelled with names, they just have the numbers. Oddly, nothing horrible is happening to The Tower - it's usually at least getting struck by lightning. I like the crabby-looking shields the Fante and Caballo are carrying.